Here’s a guide to some of the best practices you can embrace to ensure that your router — and, by extension, all your internet gadgets — is safe. Consult the instruction manual for your router to get its IP address, a string of numbers that you will punch into a web browser for access to the router’s web dashboard. Jot down the number and store it somewhere safe like your filing cabinet. If you use a router provided by a broadband provider like Comcast or Verizon, call the customer service department and ask whether your equipment has been updated with the latest firmware. When you log in to your router, if your username and password are something like “admin” and “password,” you have a problem. Many Wi-Fi stations come with weak, generic passwords by default that manufacturers intend for you to change. The problem with having a weak username and password is that anybody within range of your router could log in to it and change its settings, potentially opening it up to the outside world, said Dave Fraser, chief executive of Devicescape, a company that helps make public Wi-Fi networks more reliable for mobile phone service. The best way to check is to look up your router on the manufacturer’s website and read notes about its firmware releases. If there hasn’t been a firmware update in the last year, the router has probably been discontinued. 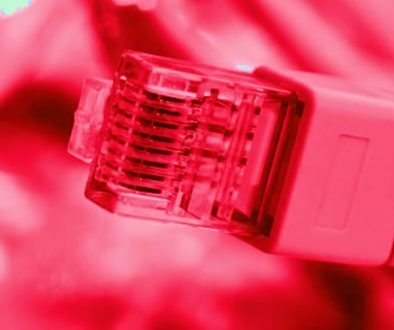 Among the routers affected by the VPNFilter malware, a significant portion of them were more than five years old, said Cisco’s Mr. Watchinski. If it is time to update your router, rid yourself of some of these headaches by looking for a smarter router. Check for Wi-Fi systems that offer automatic updates to spare you the headache of having to check and download updates periodically. Many modern Wi-Fi systems include automatic updates as a feature. My favorite ones are Eero and Google Wifi, which can easily be set up through smartphone apps.The caveat is that smarter Wi-Fi systems tend to cost more than cheap routers that people are accustomed to. Eero’s base stations start at $199, and a Google Wifi station costs $119, compared with $50 for a cheap router. For both of these systems, you can also add base stations throughout the home to extend their wireless connections, creating a so-called mesh network.Fraser noted that more modern Wi-Fi systems should have longer life spans because the companies sometimes relied on different revenue streams, like selling subscriptions to network security services.